The present General Conditions of Sale shall govern each order placed via Premium Coffee's Online Store. They shall apply to the exclusion of all other conditions. In order to register an account and order products and services from this website, the user must represent a Danish-registered company with a Danish delivery address. By placing an order, the Customer acknowledge that he has read, understood and accepted, without reserve, the present General Conditions of Sales. 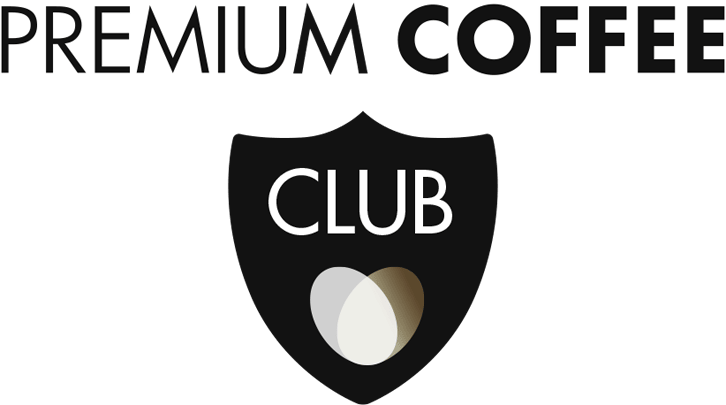 Premium Coffee reserves the right, at any time, to modify the present General Conditions of Sale by posting a new dated version on this website. By placing an order after Premium Coffee has posted a new version of its General Conditions of Sale, the customer agrees to be bound by that updated version. All prices on Premium Coffee’s Website and Online Boutique are communicated in DKK and excl. VAT and delivery charges. In case of payment by credit card Premium Coffee Sweden AB will only charge for products purchased and shipped. An administration fee is charged for paper invoice. The actual rate is stated upon checkout. Payment notice for invoice is by default 20 days starting from the date of invoice. A penalty fee will be charged on all overdue invoices according to the default interest rate. Premium Coffee has the right to perform a credit check prior to the conclusion of any agreement. If the credit check is negative, Premium Coffee reserves the right to request advance payment on any product and service before delivery, or refuse the order. Premium Coffee reserves the right to modify its prices and delivery charges at any time. Delivery cost is 80 DKK. Free shipping applies on all orders of 4000 DKK or more. Premium Coffee guarantees delivery within 2 business days. The order placed on this website will not constitute a binding contract unless and until Premium Coffee transmits a confirmation by e-mail. Premium Coffee reserves the discretionary right to refuse new orders in relation to creditworthiness or unpaid invoices. The customer shall check the goods received upon delivery, in terms of quantity and quality. In case of external damage, the customer must inform Premium Coffee in writing within 7 days of receipt of the goods. Delivered goods under this agreement remain Premium Coffee's property until it has been fully paid. In case of insolvency, Premium Coffee shall have immediate right to recover unpaid goods. Premium Coffee’s liability, including for defects, under this Agreement is in all cases limited to replacement or remediation. Premium Coffee is in no case liable for any loss which a defect or defect has to cause, including operating loss, lost earnings and other indirect losses. Premium Coffee can not be held liable for defects that may arise as a result of the breach of the customer. Similarly, Premium Coffee is not responsible for defects in the machine that may arise as a result of the customer’s misuse or if the customer does not perform timely descaling and daily maintenance. Premium Coffee is also not responsible for defects in the machine that may arise as a result of the customer having used products for the machine not supplied by Premium Coffee. In this context, the customer’s right of complaint is conditional based on that the customer uses products for the machine delivered by Premium Coffee at any time. If the customer desires a direct water connection to the machine, Premium Coffee should always be contacted during installation. It is the responsibility of the customer to use an authorized professional for water connection. If the customer fails to comply with this provision, Premium Coffee cannot be held liable for any defects that may arise as a result. Premium Coffee is not responsible for damage to property or movable property that occurs while the products are in the possession of the customer. In case of personal injury caused by a defect in the product and in case of damage to items which are usually intended for non-commercial use, Premium Coffee is responsible in accordance with the Product Liability Act. Premium Coffee reserves the right to ownership of the products delivered, and ownership is first transferred to the customer after final payment has been made to Premium Coffee of the full purchase price plus any accrued costs. Premium Coffee wants to ensure the outmost satisfaction of your Nespresso experience and best conditions for your Nespresso Professional. We therefore provide a comprehensive service contract (PCS) which includes technical assistance and repair within 2 business days, full machine warranty, at least one preventive service visit per year where the machine is fully reviewed, the possibility to lend a corresponding machine for special business events and additional services. The PCS Agreement is included by default with the purchase of any Nespresso Professional machines and is individually linked to each machine. The initial period term is for 12 months . The PCS Agreement is automatically renewed for a new 12 months period, which can be extended to a maximum total period of 5 years. The customer may terminate the PCS Agreement with at least 3 months written notice before the expiry of a 12 months period. The PCS agreement is billed at the beginning of each new 12 months period. The PCS agreement assumes that the customer uses products for the machine supplied by Premium Coffee. If the customer use products that are not supplied by Premium Coffee, this constitutes a significant breach of the PCS Agreement, and Premium Coffee is thus entitled to terminate the PCS Agreement with immediate effect. Premium Coffee is also entitled to refuse to perform service included in the PCS Agreement if the customer has used products for the machine not supplied by Premium Coffee. Premium Coffee thus reserves the right to invoice the customer a separate fee for service according to the list prices applicable at any given time. It is a prerequisite for the service agreement that only qualified staff of Premium Coffee performs any service on the machine(s), (other than descaling using products supplied by Premium Coffee. Depending on the coffee consumption, the Customer may be eligible for a discount. The discount is based on the customer’s actual coffee consumption on a 12 months rolling base. The discount is adjusted according to the actual coffee consumption every 6 months. Premium Coffee reserves the discretionary right to adjust or cancel the current discount if the Customer does not fulfill the requirements for the specific rebate. Furthermore we hereby inform you, in connection with your order, your personal data relating in particular to your identity, domicile, personal status, phone number, email address, bank card and bank account numbers, or to the transactions you enter into or payments you make, are processed by Ingenico Financial Solutions SA/NV (“Ingenico FS”) i) with the purpose of allowing us to be able to perform our agreement with [name of the Merchant], ii) with the purposes of fraud monitoring and fraud management (determining the risk levels associated with transactions, detecting and managing any resulting alerts), and iii) with the purpose of compliance with Ingenico FS’ legal obligations under the applicable legislation relating to the fight against money laundering and the financing of terrorism and (iv) with the purpose of compiling market analysis, statistics, analysis of transaction data, improvement of the service provided by Ingenico FS. The collection of your personal data is a mandatory requirement for these purposes. Without this personal data your transaction could be delayed or rendered impossible and your order cancelled. Please be informed that Ingenico FS, with registered seat at Boulevard de la Woluwe 102, in 1200 Brussels and with company number 886.476.763 is the data controller for such data processing. Communication by Ingenico FS of personal data to its , affiliates, subcontractors or other parties with whom Ingenico FS has a contractual relationship and that provide services for / assistance to Ingenico FS in the framework of i) the performance of the agreement between us and Ingenico FS, ii) fraud prevention and management and iii) with the purpose of compliance by Ingenico FS with its legal obligations under the applicable legislation relating to the fight against money laundering and the financing of terrorism and (iv) communication to third parties of anonymous or aggregated data. The third parties that are providing service/assistance to Ingenico FS with regard to fraud monitoring and fraud management can insert your personal data into their own specific database(s) that is (are) used by them to provide services for a multitude of merchants to prevent and manage fraud. If Ingenico FS is required by law to communicate certain information or documents to the National Bank of Belgium, to the Financial Intelligence Processing Unit (CTIF-CFI), to similar Belgian or foreign authorities, or generally speaking to any judicial or administrative authority, law enforcement authorities or any legal or administrative authorities. Communication of personal data to those entities will be limited to the extent necessary or required under the applicable regulations. Furthermore, a fraud may give rise to the recording of certain personal data relating to you in a dedicated file managed by Ingenico FS. The purpose of such file is to retain a trace of previous frauds, in particular to provide information for criteria used to evaluate transaction risks and the scoring templates used for this purpose. The recording of your data in this file may also lead to you being assigned a higher risk level in the event of any subsequent order placed with a merchant that is customer of Ingenico FS, and consequently could potentially lead to the rejection of this order. You are entitled to have access to your personal data and have the right to query, access and correct your data, as well as the right to object, for a legitimate reason, to the processing of your personal data. For the exercise of these rights, please address a written request (by registered mail), dated and signed, to the registered office of Ingenico FS (see above) or send an e-mail to privacy@fs.ingenico.com and mention in this letter or e-mail your name, address and telephone number where you can be reached during office hours, and enclose a copy of both sides of your identity card or passport. You may hide the data that you are not required to provide according to your local legislation. Furthermore, we hereby inform you, in connection with your order, of fraud monitoring and fraud management activities which means that your personal data will be subject to further processing in addition to the processing of card not present payments. Ingenico Financial Solutions SA/NV (Ingenico FS) is the data controller for this additional processing intended to prevent and combat fraud, determine a risk level and model the score. Any fraud may result in the recording of your personal data in a file managed by Ingenico FS in order to retain a trace of frauds, in particular to provide information for criteria used to evaluate risks and the score templates used. This recording of your data may also give rise to you being assigned a higher risk in the event of any subsequent order placed with a merchant that is active in the same type of industry/sector and that is using the services of Ingenico FS, and could potentially lead to the rejection of this order by the merchant. You have the right to query, access and correct your data, as well as the right to object, for a legitimate reason, to the processing of your personal data. To exercise this right, you can send a letter to: Ingenico Financial Solutions SA/NV - Legal department "data protection" - Boulevard de la Woluwe 102 – B-1200 Brussels (Belgium), or send an email to: privacy@fs.ingenico.com, accompanied by a signed copy of proof of identity”. You may hide the data that you are not required to provide according to your local legislation. Your personal data relating in particular to your identity, domicile, personal status, place of birth, phone number, and the other personal data collected to comply with the legal obligations of customer identification resulting from the legislation relating to the fight against money-laundering and the financing of terrorism, are processed by Ingenico Financial Solutions SA/NV (“Ingenico FS”) with the purpose of compliance with Ingenico FS’ legal obligations under the applicable legislation relating to the fight against money laundering and the financing of terrorism. Communication by Ingenico FS of personal data to its, subcontractors or other parties with whom Ingenico FS has a contractual relationship and that provide services for / assistance to Ingenico in the framework of i) the performance of the agreement between us and Ingenico FS, and ii) with the purpose of compliance by Ingenico FS with its legal obligations under the applicable legislation relating to the fight against money laundering and the financing of terrorism. If Ingenico FS is required by law to communicate certain information or documents to the National Bank of Belgium, to the Financial Intelligence Processing Unit (CTIF-CFI), to similar Belgian or foreign authorities, or generally speaking to any law enforcement authority or judicial or administrative authority. Communication of personal data to those entities will be limited to the extent necessary or required under the applicable regulations.